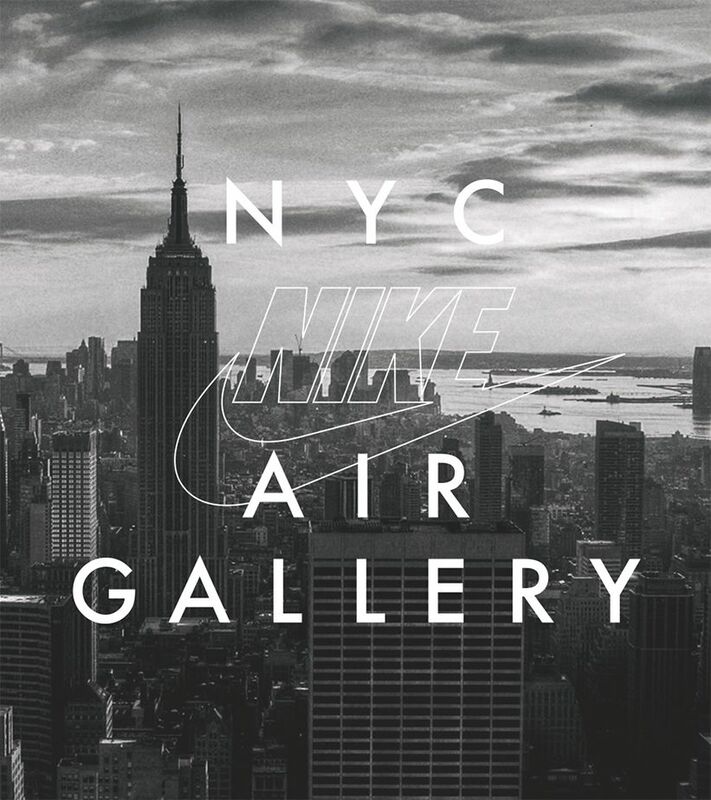 Air embodies Nike’s endless desire to dream. 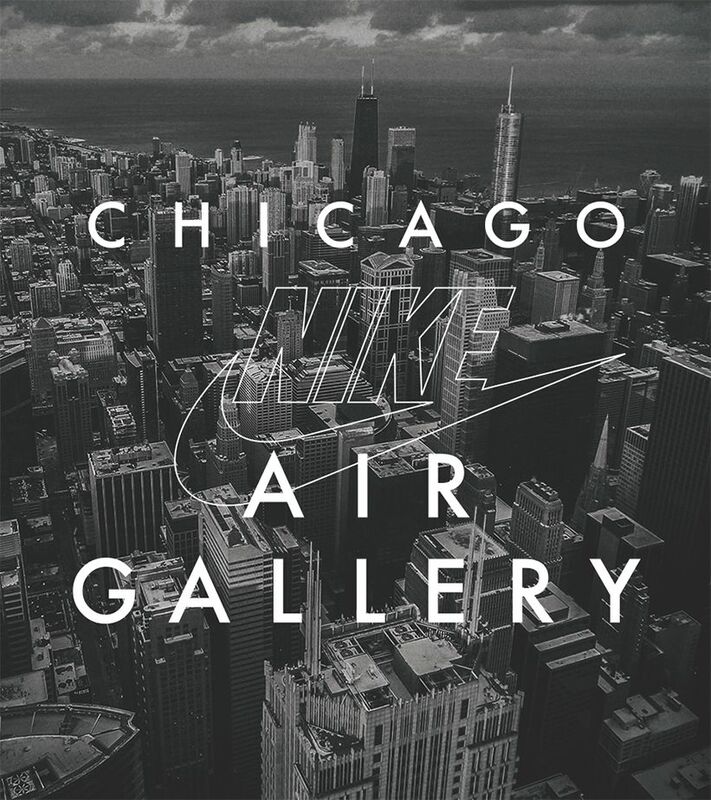 Decades ago, we harnessed this shape-shifting element to forever change Nike, and to take those who put it beneath their feet to places they never thought possible. In celebration of the next generation of Nike Air, we’ve partnered with a select group of artists to turn their imagination to reality using the Air Max 270 as their inspiration. 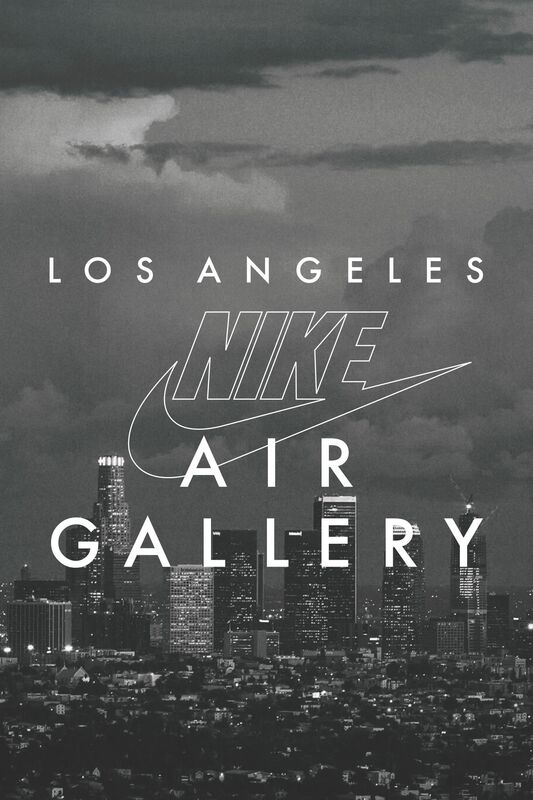 Inspired by Air, it’s their creativity, passion and community that moves us and together we move Los Angeles. 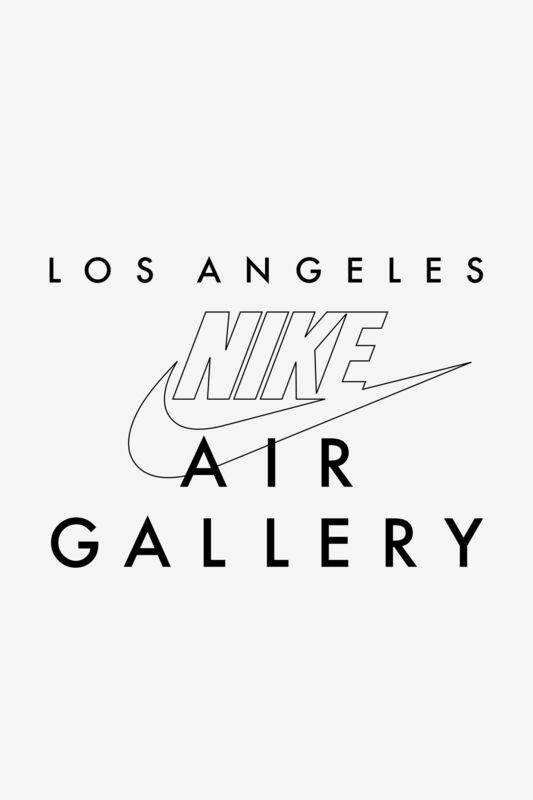 The Air Gallery will be open in LA from 3.24 to 3.26 at 2270 Venice Blvd. 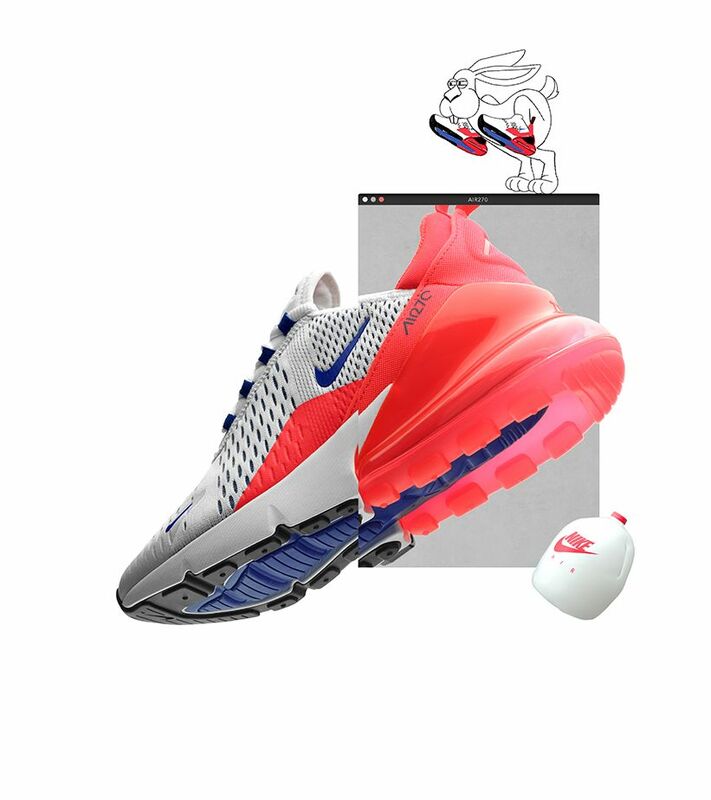 Inspired by the magnified upper and color of the Air Max 270, Gianni’s piece is about the struggle of processing new information with what we already know about ourselves, the quest for higher or limitless knowledge. His belief that we are all seeking freedom directly correlates with the idea of limitless Air. 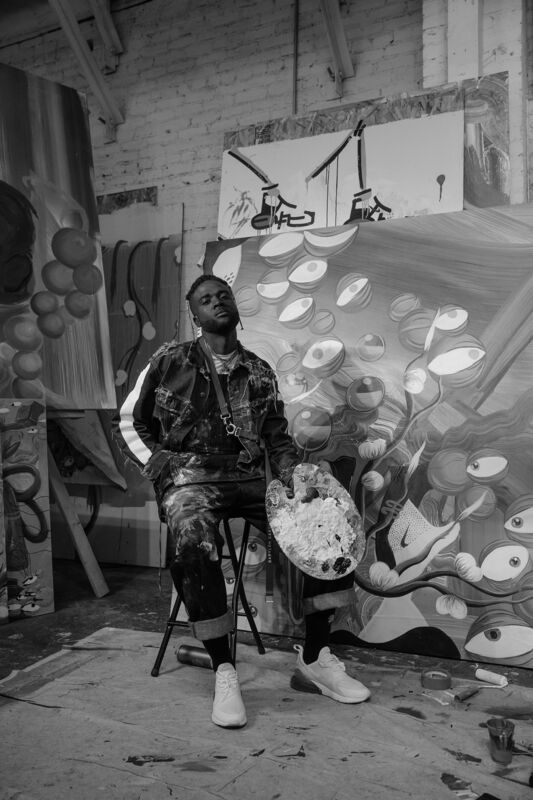 Gianni Lee is a multidisciplinary visual artist utilizing diverse mediums to examine and explore themes of racial inequality, communication and technology. He lives and works in New York and Los Angeles. When processing neon tubes, the presence of air is not desired. 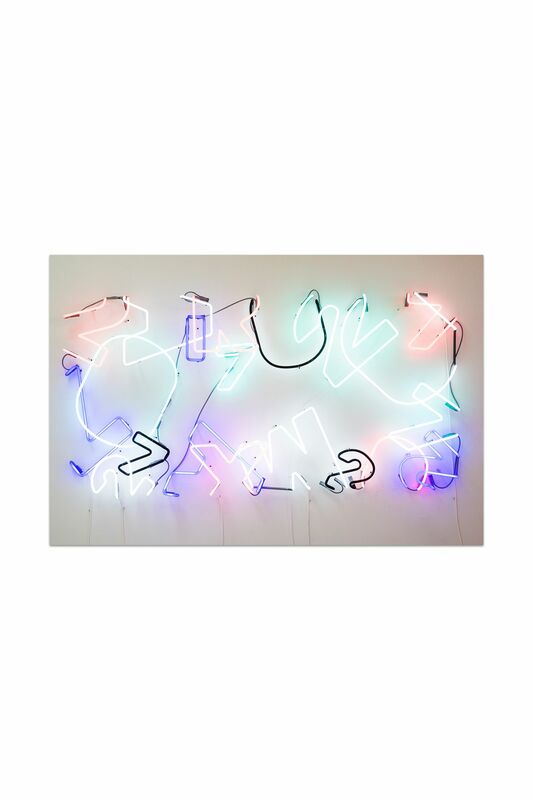 Seeing this as an opportunity to rethink and retrain herself on how to look at air outside the limiting confines of neon, Meryl approached air in her piece the same way most people do – as something we all have in common as living and breathing beings: A life force. Inspired by the colors of the Air Max 270, Meryl incorporates the classic colors into her piece. Meryl is an artist of many disciplines and mediums, focused on the relationship between her own hands and material. She is currently curating an exhibition in San Francisco, CA called "She Bends,” an all-female exhibition featuring female glass benders from around the world. 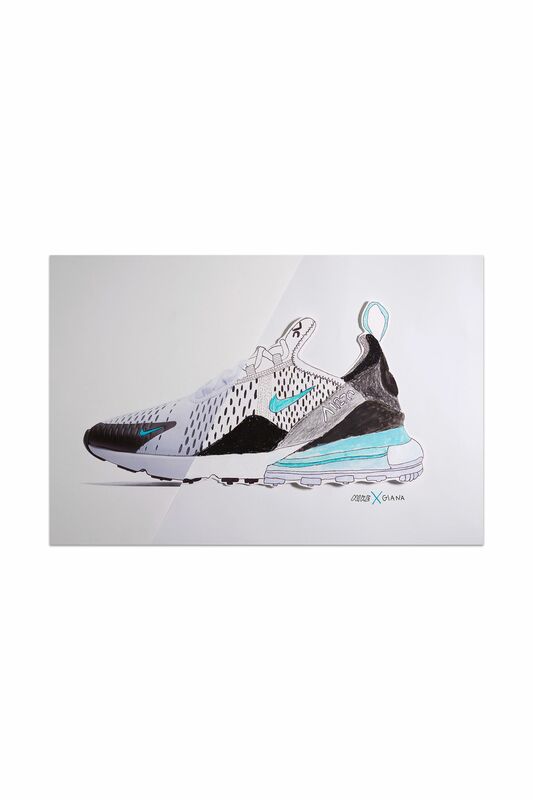 Inspired by the youthful and energetic feeling of Air Max 270, Gabe used his unique graphic style to visually experience the movement of air. 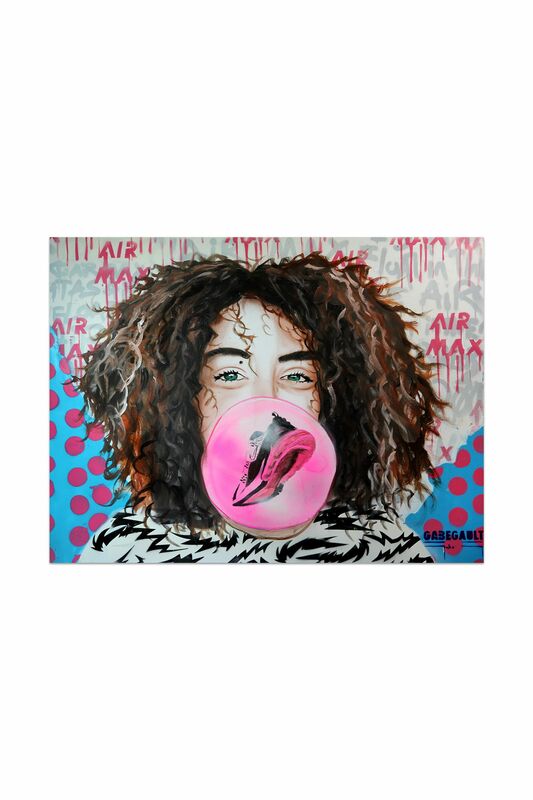 His piece symbolizes the fun of living, breathing, and ultimately, wearing Nike Air. 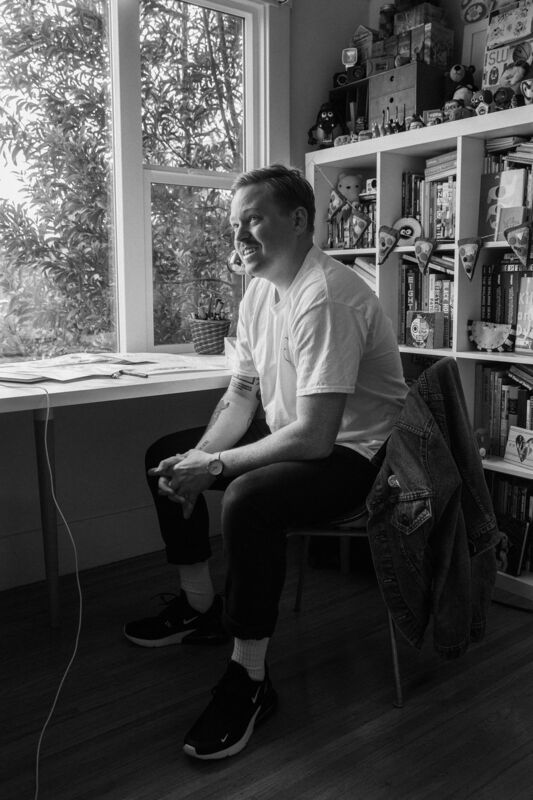 Born and raised in Southern California, Gabe spent his formative years in Venice Beach, where culture and residents made a lasting impression. These experiences inspired his love for street art, pop-culture and camouflage patterns which resonate throughout his work. Inspired by the idea of air as volume and the modern design of the air max 270, Bijou imagines the modern woman who would wear them today. 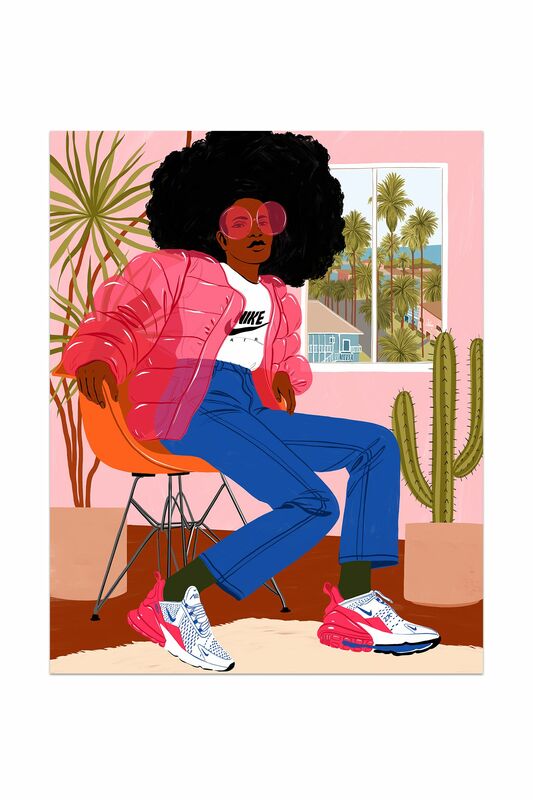 Her illustration depicts a cool woman in a quintessential LA apartment with palm tree lined streets and a sunny neighborhood. Her style and air filled puffy jacket complement the exaggerated air in her sneakers. 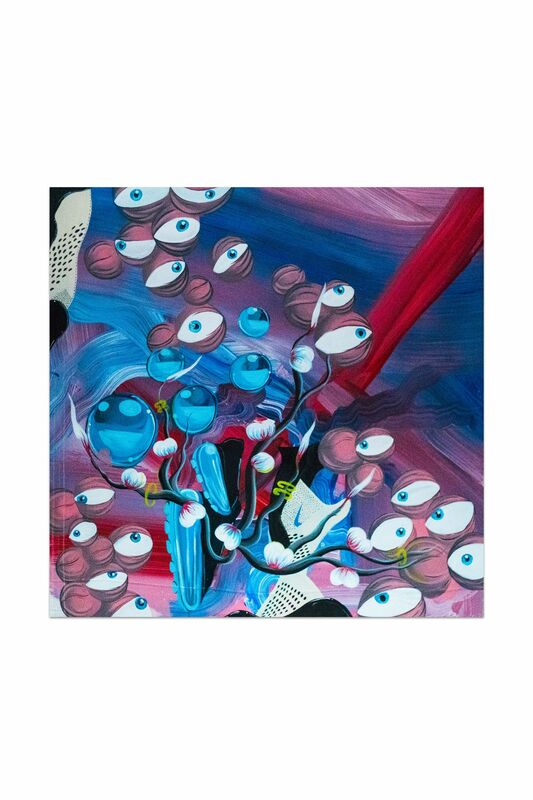 Bijou Karman is an artist and illustrator from Los Angeles. Her paintings are inspired by unique women, nostalgia, flora, and the California landscape. 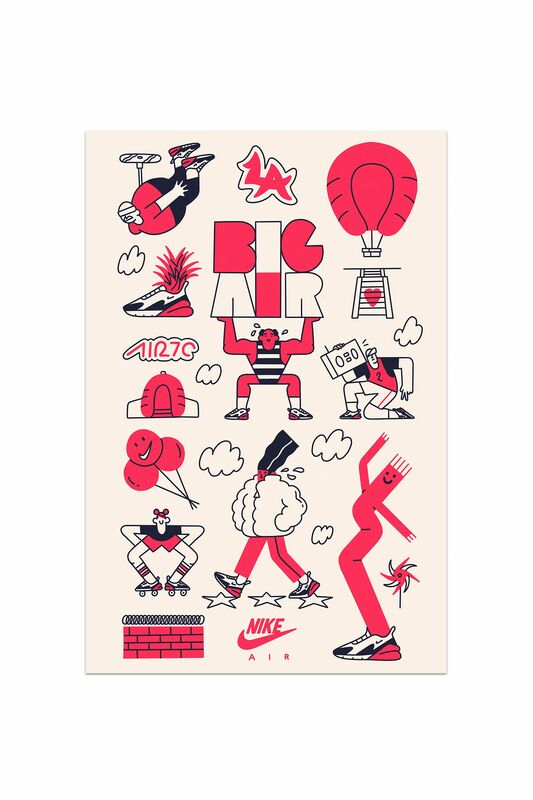 Nike Air was a huge part of Brandon Land's childhood and is scattered throughout his work today. To Brandon, the Nike innovation is, "light as a feather." Inspired by the original air max designer, Tinker Hatfield, Land’s piece focuses on various personalities who wear their air. Each personality showcases the potential of how air moves us forward. Brandon Land is a San Francisco-based graphic designer, artist and illustrator. 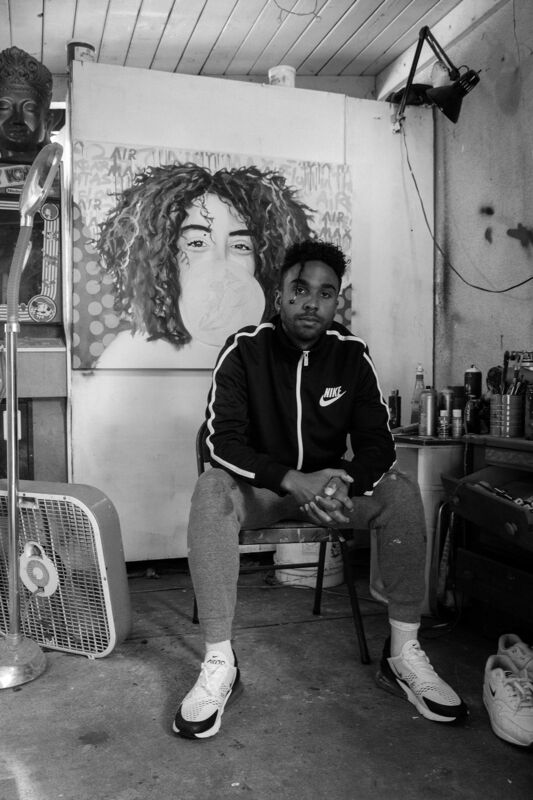 With years of experience bringing his creative visuals to life, Brandon's projects have been widely recognized. 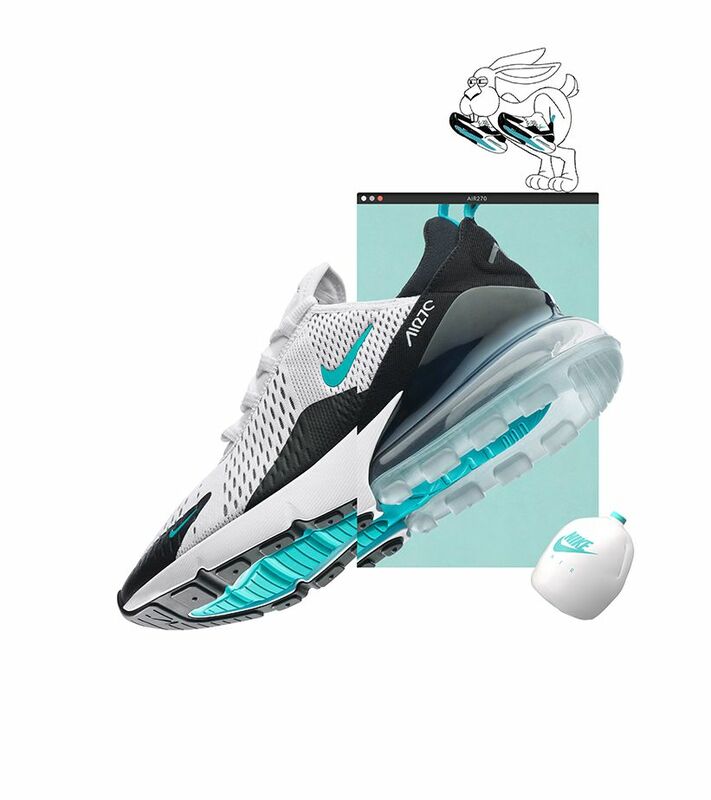 Using her signature style of slicing a photo down the middle, Giana created a unique Air Max 270 art piece that showcases the sneaker like never before. 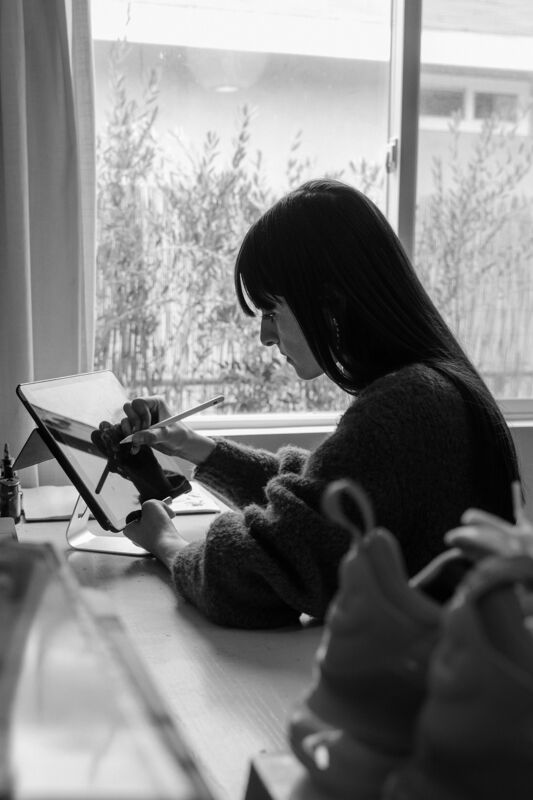 Her image combines the unique aesthetic of the Air Max 270, with her creative style often seen in Fashion illustrations to complete the piece. 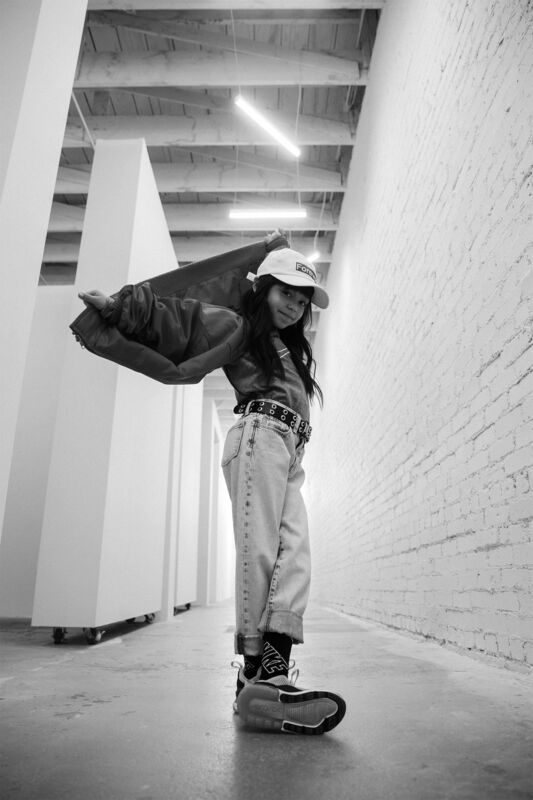 At 8 years of age, Giana is not only known for sharing her collection of streetwear on Instagram, she is also an artist with a keen eye for fashion illustration. 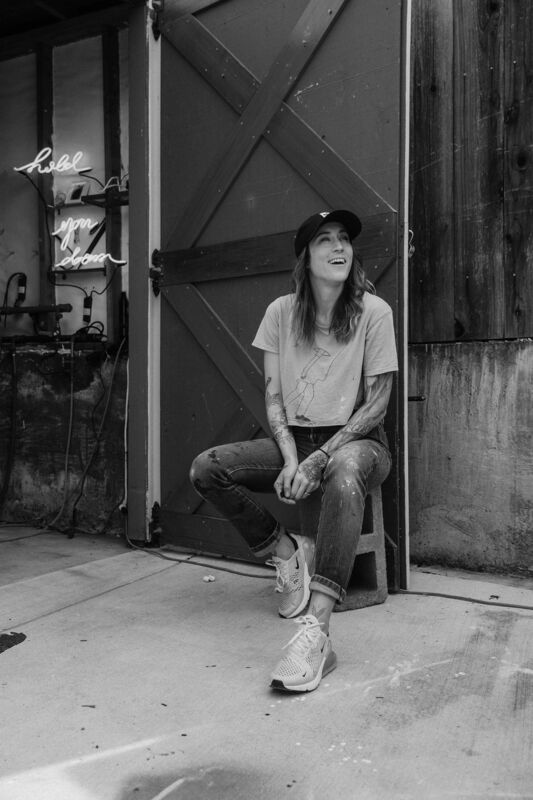 She has hosted three solo art shows across the country and is most notable for recreating iconic high-end fashion imagery.